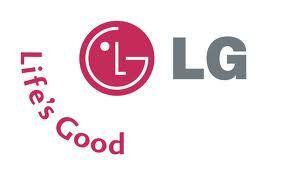 LG release another teaser: L, V, G and F series' incoming as the F5 and F7 get leaked! LG have been really busy lately; their media teams have been putting in some serious work to build some hype around their MWC announcements for new mobile phones. Today we've seen their best one yet! The latest teaser, embedded below, features a series of screens, each of which flashes up in turn with a word and one letter in each of the words is capitalised, presumably to indicate the name of the device 'line' which is best described by the word. In the video below you'll see 'styLe', 'Freedom', 'View' and 'Greatness' all flashed up and our best guess would be that the capitalised letter is representative of the name of the line. That would leave us with the L series (the new devices from this have already been announced) and the F, V and G series'. Up popped @EVLeaks yet again to show off what are supposedly the LG Optimus F7 and F5! We have no reason to doubt EVLeaks given how spot on they have been with everything they've posted about over the last couple of years! Unfortunately we don't know anything about the V series yet, but hey MWC is less than a week away!